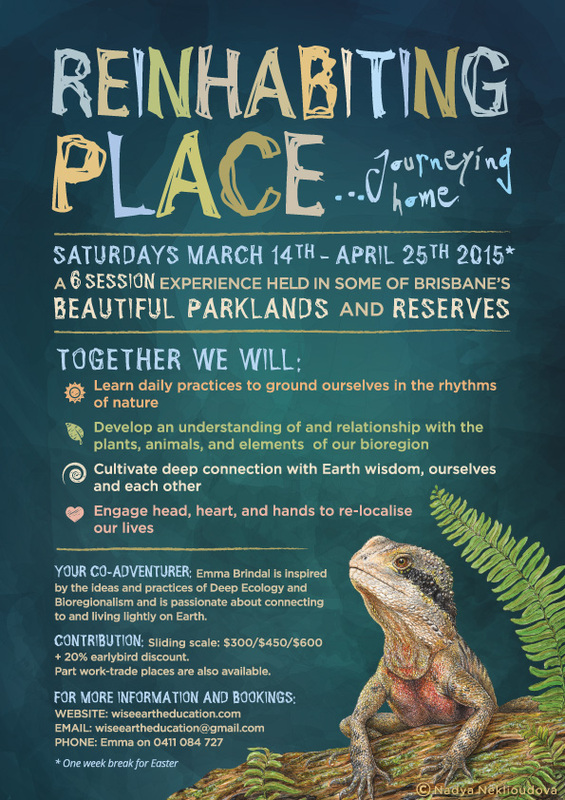 A 6 week experience for Earth Healers held in various locations around Brisbane. Saturdays February 22nd to March 29th 2014, from 9am – 1pm for the first 5 weeks, and 10am-4.30pm in the final week. Your co-adventurers: Arlanda Rayne, Emma Brindal and Rhyll Tonge are inspired by the ideas and practices of Deep Ecology and are passionate about connecting to and living lightly on Earth. Contribution: Sliding scale: $225 Health Care Card Holders/$350 Middle income/$475 High Income. Scholarships also available. Places are limted to 12 participants.